A little over nine years ago, the NCC made a big leap in terms of Indigenous engagement when I was hired on as the first Aboriginal liaison officer. At the time, I believe the NCC was the only Crown corporation to have a person dedicated to engaging Aboriginal groups in the region, particularly the Anishinabe Algonquin First Nation communities. In time, I also took on the role of resident Indigenous elder. 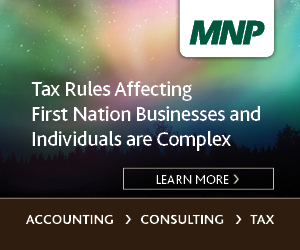 There are approximately 38,000 Indigenous people living in the National Capital Region. I’m very proud of my role at the NCC and the successes we have had. These stories provide a snapshot of the NCC’s proactive efforts and commitment to encouraging public events and visible commemorations that highlight Algonquin Anishinabe history and culture. I’m especially proud to be able to work with people who have such dedication and discipline, and who have contributed to these stories that are giving a voice to the interests of Indigenous peoples. Together, we are helping to reflect this positive image in the values of our capital, and I am honoured to be involved and to share some of the ongoing success stories. A first win for the Aboriginal community came at the time of the 2012 Juno Awards, which took place in Ottawa. I was asked to get the First Nations communities involved by submitting an application for a musical instrument grant ($10,000 worth of musical instruments). Through our efforts on this project, the students of Kitigan Zibi Anishinabe First Nation were awarded the grant. Music was not available in the community’s schools at the time, so I like to think that our work on this project had a direct impact on the daily lives of young people in promoting the art of music. Our next project was to organize an event celebrating Aboriginal culture as part of the Fall Rhapsody activities. Three years later, we are still hosting Anishinabe Nibin (Algonquin summer), and it is now a regular part of the annual program. The event features an interactive demonstration of the steps involved in making a birchbark canoe and snowshoes, as well as the tanning of hides. This event is organized in collaboration with the communities of Kitigan Zibi Anishinabeg and Pikwakanagan. Every year, the NCC celebrates Archaeology Month in August, and promotes events throughout the entire month, including public digs. The planning of the popular and well-attended public events is coordinated by Ian Badgely, the NCC’s archaeologist. Because of the importance of archaeology in the Capital Region, there was a need to design and establish a protocol for the co-management of archaeological resources. The priority was to ensure ongoing collaboration between the NCC, and the Kitigan Zibi Anishinabeg and Algonquins of Piwakanagan First Nation communities. This type of agreement is an example of how the NCC seeks input to consider the value that the Algonquin people place on archaeology. What makes the agreement so special? It’s a unique document that no other government department in the region has. Another success story! Pindigen Park, which launched on National Aboriginal Day in 2017, is a visible reminder of the NCC’s collaboration with local First Nations communities. We worked together to design the park to educate the public about Indigenous culture and heritage. It focuses on one of the guiding principles of the Anishinabe people, for whom living well means finding harmony between the land, water, air and people. Even the trees are indigenized, and were planted with ceremonial tobacco as per the Indigenous tradition. Have you followed the moose tracks through Pindigen Park? The NCC wanted to ensure there was an Algonquin presence for each launch of the Confederation Pavilions in celebration of Canada 150. In addition, one of these pavilions was dedicated entirely to the Algonquins of Pikwakanagan First Nation community. The Kabeshinân Minitig (Victoria Island) Pavilion displayed ancient artifacts, as well as Indigenous arts and fine crafts, showcasing the Algonquin way of life. The NCC reached out to students from the Kitigan Zibi Anishinabeg First Nation to choose the name for the new Leamy Lake Park bridge. These young ambassadors chose Mâwandòseg, which means in Algonquin “land where we once gathered for celebration.” I really loved the launch event, because I felt that these young ambassadors, who prepared and read their presentation in three languages, were the real VIPs. Seeing how far NCC has come over the past nine years, including the recent successes during the Canada 150 celebrations, I hope that my role will continue to grow, and that I can continue to help the NCC create an even deeper connection with the Algonquin First Nation communities in the region.